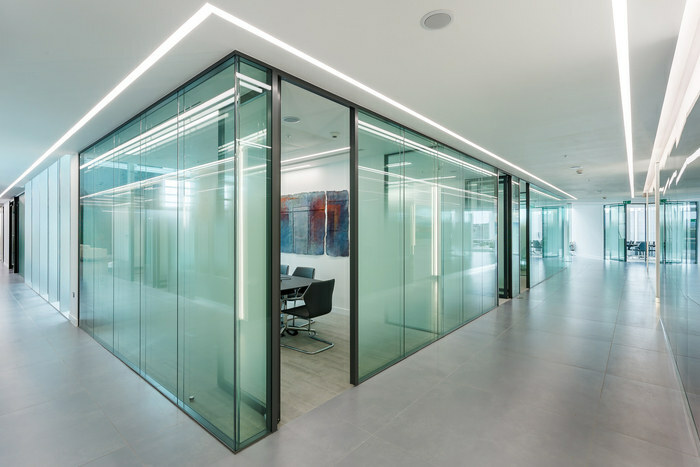 Oktra designed the new offices for law firm Wedlake Bell, located at Bedford Row in London, England. Previously split across six floors, the move was prompted by both a need to improve communication and a desire to embrace new ways of working – a bold feat within the legal sector. Oktra worked closely with Wedlake Bell to create a design plan that supported and encouraged this big cultural shift. All fee earning lawyers moved from cellular offices to a full open plan environment. With these adjustments, Oktra was able to enhance their front of house facilities to include a full conference area housing up to 150 people, 15 meeting suites and an associated terrace. The key to the success was to build the right environment with all the facilities they needed. Oktra created an open plan layout with private booths allowing employees to choose the right environment for the task at hand. Viastak were responsible for installing various video and audio conferencing technology and a robust wireless solution to enable their team to work when and where it is most efficient to do so: at home, on the move or at a client’s premises. 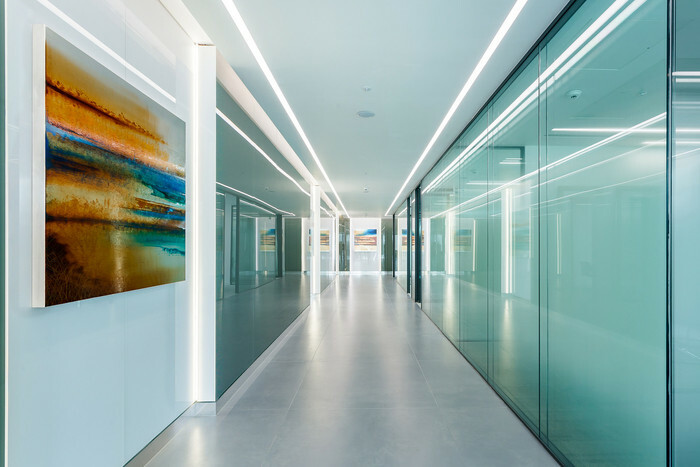 Oktra’s design scheme was driven by the use of natural light and architectural vistas to create a space that takes a step away from the usual corporate solution. A neutral and professional colour palette was incorporated into the furniture, fabrics and floor finishes using bold colors, derived from Wedlake Bell’s branding, as striking accents in their breakout area and open plan workspace. The overall look and feel of the space is a nod towards the possibilities of clever design. Together, Oktra and Wedlake Bell have created a successful combination of innovation, originality and professionalism.